Water filtration is one of the methods used for this purpose. After all, there’s no telling what has made its way into the water. Pollution such as bacteria, pesticides, and other chemicals can be mixed in with the groundwater but with a good filter, all of that will be eliminated by the time it gets to your plumbing. Bacteria can be found anywhere. While there are harmless varieties, many can be the cause of many different illnesses. When it comes to the municipal water source, one of its duties is to get rid of as much bacteria as possible before distributing the water to the public. Water from a well has to be cleaned of bacteria too. Thankfully, this can easily be done with the proper water treatment and filtration equipment. You won’t have to worry about drinking or bathing in dirty water that could make you sick. One side effect of our modern society is the ever-growing use of various chemicals. Pesticides, fertilizers and other contaminants can often make their way through to the groundwater underneath your feet. This is a known concern which is why water filters are also made to handle these kinds of contaminants. 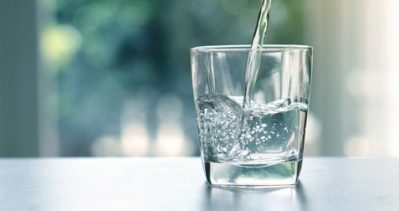 When you want to drink water, you can rest assured that what you’re drinking really is just water and not something that’s mixed with potentially harmful chemicals. Today there are many options that can help clean the water you use in your home. The most common type of filter uses a multi-stage carbon filter. These filters have several layers that prevent specific types of contaminants from passing through. Doing so will ensure that the water coming out of the filter is as clean as it can be. A good filter will remove contaminants such as bacteria, chemicals, and parasites so that you’re left with water that is as pure as possible. They’re also easy to install and easy to maintain. It should be standard equipment that comes with the installation of your water well. If you want to make sure that you have a water filter that suits your needs, don’t be afraid to talk to a professional about it. Your water well service provider should be able to help you setup and maintain your filter so that it can do the job of keeping your water clean. 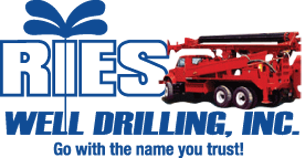 Ries Well Drilling is one such service provider. We provide water well installation, repair, and maintenance services that cover the entire system. From the well itself to all the other parts including the water filtration system, we will ensure that the water is safe to use. Get in touch with us today.